Bourbon shows up on menus across the dining spectrum. The other night I enjoyed a fantastic dinner at Seviche, chef Anthony Lamas’ Latin restaurant at 1538 Bardstown Road in Louisville. 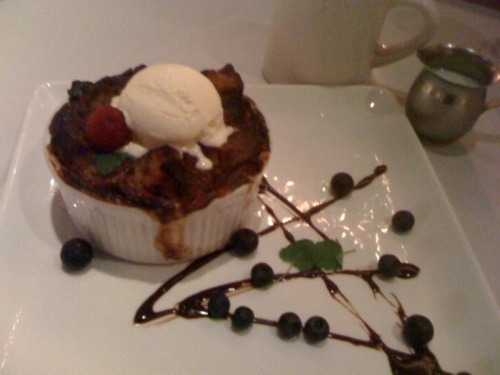 The drinks menu tends toward sangria, Mojitos and the Caipirinha – but I found the bourbon on the dessert menu, where it infuses an excellent bread pudding, above. Salud!